This article covers how to change default folder image in Windows 10. 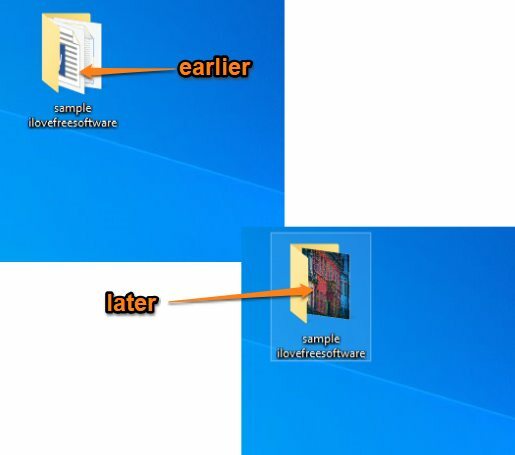 By default, the image that is visible in between a folder icon is the very first image of an image or document stored in that particular folder. If there is no image, the default image is visible there. If you don’t like that, then you can add an image of your choice. This can also be helpful to identify a particular folder quickly. 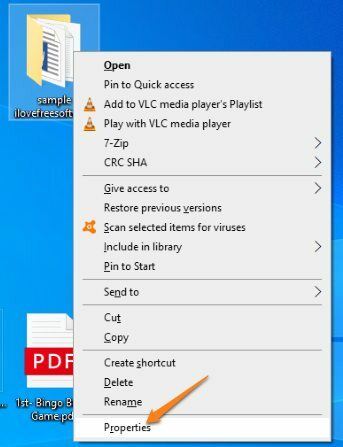 To change the default folder image in Windows 10, you just have to follow some basic steps that I have covered in this tutorial. After that, you will see the new image for that folder. To make it more clear, you may see the screenshot added below. As you can see, earlier the default or I say the image related to the first file in that folder is visible for a folder icon. Later, I changed that image with another image of my choice. Step 1: In this simple step, open the Properties window of a folder whose default folder image you want to change. Just right-click on the folder and use the Properties option to open that window. Step 2: In that window, jump to the “Customize” tab. You will see “Choose File..” button. Using that button, you can add an image of your choice. Step 3: Now first press the Apply button and then OK button. It will close the Properties box and you will see that new folder image is visible. You can repeat the above steps to apply new image in other folders. We’ve also reviewed some best free folder colorizer software for Windows 10. Changing the default folder image in Windows 10 is helpful in different ways. You might have bored with the default image and need to see a folder icon with some other image or you want to easily identify a folder from the list of other folders. In any case, this simple feature of folder properties is gonna help you.